If you’re a homeowner, you have a powerful tool in your financial arsenal: the home equity loan. Home equity loans allow some consumers to borrow a large amount of money relatively easily and cheaply. But they aren’t right for all situations. Here’s a bit more about how they work and when they’re a good option. A home equity loan is a loan secured by the value of the borrower’s house. Sometimes called second mortgages, home equity loans come with favorable terms because they’re low risk for lenders. To qualify for one, you’ll need significant equity in your home — that’s the difference between what your home is worth and what you owe on it. Lenders use a figure called loan-to-value ratio, or LTV, to help determine which loan applicants qualify. For example, if your house is worth $250,000 and your mortgage balance is $150,000, you have $100,000 in equity. Your LTV, which is the amount you currently owe on the house divided by its current value, is 60%. The lower the LTV on your first mortgage, the easier it is to qualify for a second. Keep in mind that a home equity loan is different from a home equity line of credit, also called a HELOC. Home equity loans are installment loans with fixed payments, like auto loans; HELOCs are revolving debt with variable payments, like credit cards. They typically have lower interest rates. They’re easier to qualify for, even if you have average credit. Interest payments are tax-deductible in most cases. They offer potentially high loan amounts, depending on the home equity available. If you miss payments on your loan, the lender can foreclose on your home. If your home value drops, you could end up with high LTV or even “underwater” on your mortgage, owing more than the home is worth. And if you were to sell your home, you would owe your lender the difference between the sale price and your mortgage at closing. Home improvements or major repairs. Some homeowners use home equity loans to consolidate higher-interest debt, such as credit card debt. However, that’s considered a risky move by consumer groups like the Consumer Financial Protection Bureau, since failing to make payments on a second mortgage can lead to foreclosure. 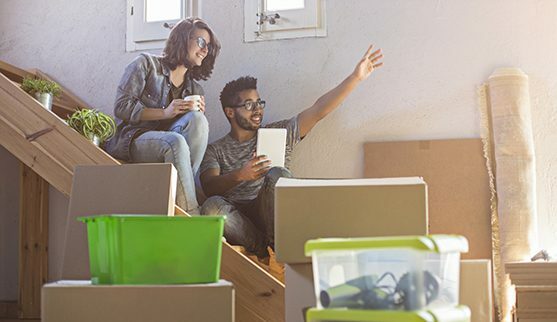 Many factors should inform your decision about taking out a home equity loan, including the state of the real-estate market in your area and whether you have better ways to raise money. Talk with a representative at your local bank or credit union for more information. Most importantly, make sure a home equity loan suits your long-term goals, as well as your more immediate needs.